The WITZIGMANN ACADEMY supports excellent and conscious cooking-, food- and life culture. The objective of the ACADEMY, in line with the spirit of its namesake Eckart Witzigmann, is to promote innovative, trendsetting experiences and knowledge of cooking-, food- and life culture, aimed at both. Namely for professionals and the general public. This also involves questions regarding evaluation and interpretation. The question of what is ‘good’ is being redefined from generation to generation. Yet, criteria of evaluation, such as quality, sustainability, social responsibility, aesthetics and creativity, remain constant over time. The ACADEMY is dedicated to these values. The ACADEMY commits itself to the platonic ideal of imparting experiences and knowledge in the creative exchange of know-how and ideas. It is not a typical institution with its own headquarters, budget and employees. 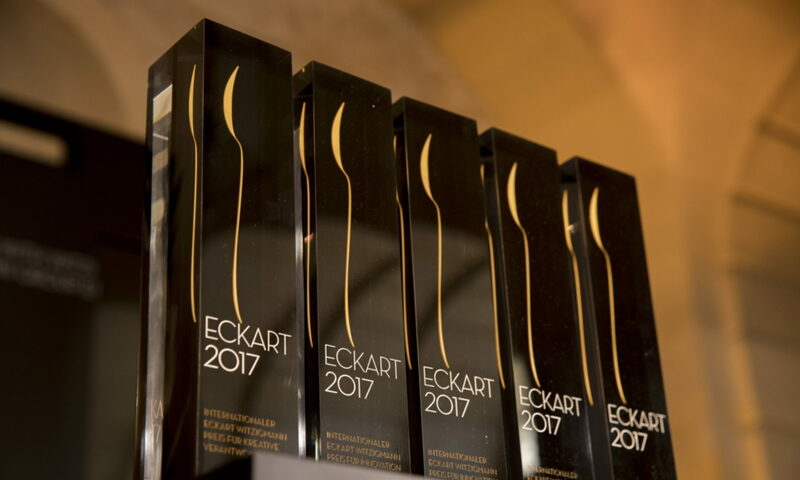 An important activity of the WITZIGMANN ACADEMY is the conferment of the ECKART award. In addition, there are lectures, symposia and other events as well as publicity campaigns organised by the ACADEMY. The ACADEMY and all its activities are dedicated to its eponym–Eckart Witzigmann–thus honouring the achievements of one of the most important chefs of the 20th century.